A root-balled plant is generally grown in open ground, and can get to considerable sizes. When the plant is ready for lifting and delivery to the customer, they are lifted out of the ground by a machine, which cuts a ball around the root which is then wrapped in a biodegradable hessian sack. The sack is left on the plant to minimize disturbance of the roots. When planning to use root balled plants, the approximate general advice guide for container grown plant density and spacings is sufficient. 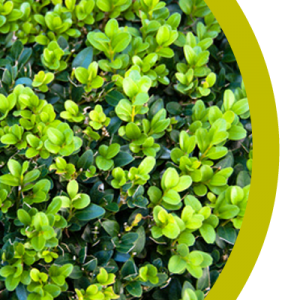 For further information please see our Buxus care information or contact us.